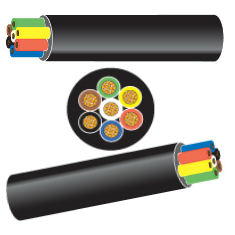 Purchase thin wall low voltage cable from Hilltop Products today. Using our simple and secure online ordering system could be easier and you can also give us a call and place your order online. ‘ALL PRODUCTS ARE MANUFACTURED TO IN ACCORDANCE WITH ISO 6722-1:2011’. We offer thin wall single core auto cables, thin wall 2 core auto cables or thin wall 7 core auto cables. When you purchase thin walls low voltage cables from Hilltop Products you guarantee a great trade price for the items you need. Next day delivery is available to the UK and delivery is free if you spend more than £50. Worldwide shipping is also available. High temperature thin wall low voltage wiring cables suitable for use in the automotive, marine and allied industries. 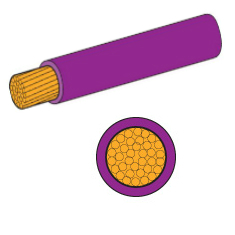 High temperature 2 Core thin wall low voltage Automotive Cable also suitable for marine and allied industries. 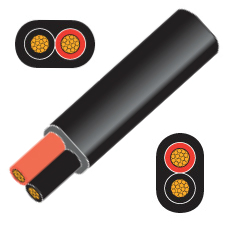 High temperature 7 Core thin wall low voltage Automotive Cable also suitable for marine and allied industries.